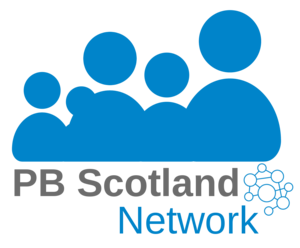 On 12th October PB Scotland brought together a group of people with a great interest in participatory budgeting to take part in our learning event: The Foundations of Participatory Budgeting, in Dundee. This learning event was a chance for us to go back to basics and explain how PB works and why it matters, and also for those who have been involved in a process, to share their experiences with others. The morning began with a warm welcome from David Reilly, Development Manager at SCDC who soon had the participants feeling right at ease with a fun, interactive ice-breaker. Once everyone was well acquainted, David began his presentation, explaining what PB is and how it can be done which was supported with a little help of a short video commissioned for the Kirk’s Church and Society Council. “To see folk coming together in our community, being united and the power of the volunteering that went on behind the screens has been phenomenal”. Jan couldn’t express enough that the major key success of their project was the Steering Group. “The power of your community, they know what works”. Next up we had Rachel Green, Independent Consultant, who shared with the group her experience of PB from the perspective of a Local Authority. Rachel who previously worked for Angus Council gave her reflections of the challenges they faced during the PB process, while also sharing her optimism and encouragement for the future of Participatory Budgeting in Scotland. Rachel gave an example of an online and offline integration PB process that Angus used in 2016. This was in the form of a digital tool, Dialogue by Delib which offered an online site to help widen participation and which particularly helped to involve the non-English speaking community in Angus by offering different language translations. The site was used to generate conversation and ideas about community needs and the conversation which created the most interactions were submitted to the application process. Once applications were submitted, a voting day took place. Read the case study here. One of the core challenges, but successes of the approach in Angus, was being able to respond to the Steering Group’s decisions throughout the process. Rachel commented that they were keen to ensure that the Steering Group had genuine control over the process in order to build the community’s trust in developing the participatory approach. Within Rachel’s presentation she recommended a useful research paper by The Democratic Society (Demsoc) which highlights how digital tools can support PB processes. The report draws from Demsoc’s own research and workshops and discussions with 18 councils currently working on PB around Scotland. Read here. Rounding up her presentation, Rachel left us with a final thought “PB isn’t perfect but don’t let perfect be the enemy of the good”. What are the opportunities for using PB in our own work/community? 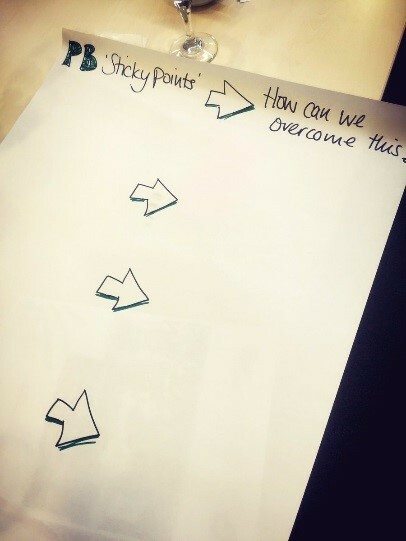 What are the ‘sticky’ points about a PB process and how can we overcome them? It would be helpful to have a single ‘go-to person’ within councils to support PB processes. It might be helpful to have a single online system for voting in Scotland, based on learning from those what work well, and those that don’t! The presentations from the PB learning event are now available. Check on the links below.